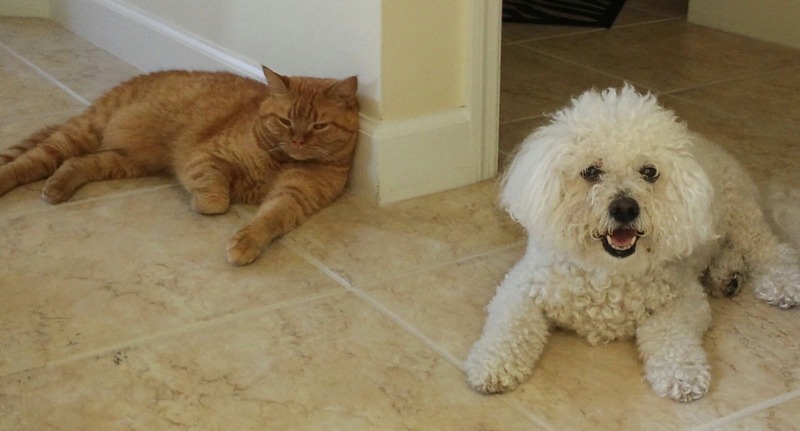 Our 14 year old Bichon joined the family after her “mom” passed away earlier this year. 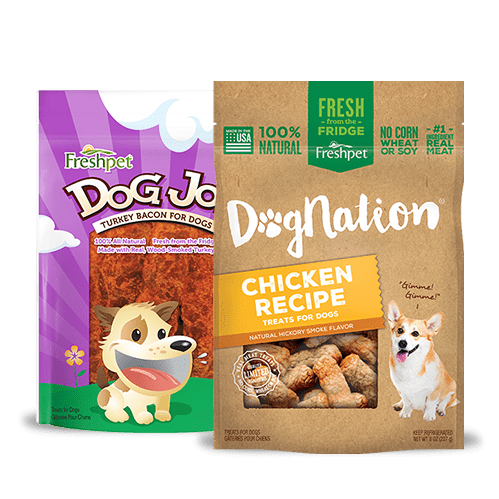 In the past 4 months, Annie’s been through a lot of changes so I continued to feed her regular brand of “gourmet” dog food that looked bad, smelled worse and wasn’t particularly kind on her senior digestive system. Since I got her, she would go “off feed” at least once a week and experienced loose bowels more frequently than not. 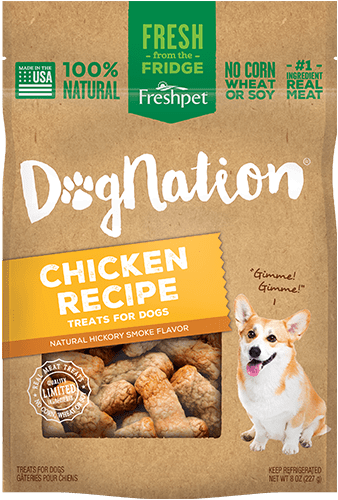 I tried the Freshpet Chicken with Veggies and Brown Rice. She took to it immediately. 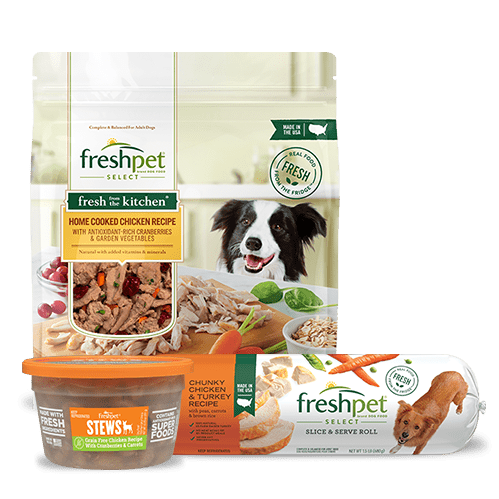 In the month since we started feeding Freshpet, she’s been a very happy eater. She’s digesting the food well and eliminating without issue. Walks are a pleasure again. 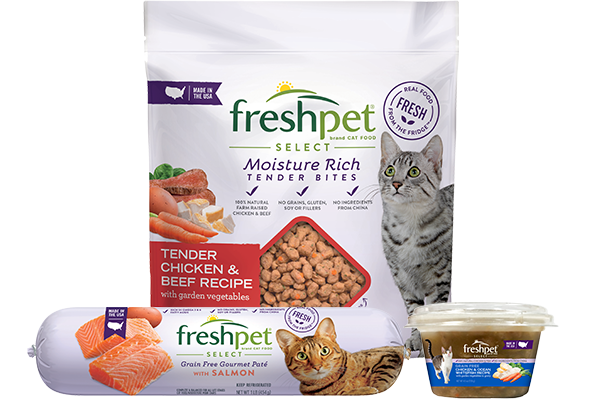 I also started our British Shorthair on the Freshpet Tender Chicken Recipe for cats. 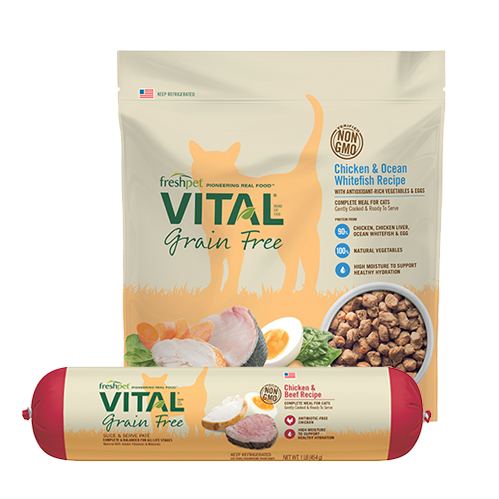 Typical of many cats, he’s a fussy eater who will go hungry rather than eat most brands of canned food. Even when I found one he liked, he’d turn his nose up at it a week or two later. I can’t believe the amount of money I wasted trying different food to satisfy him. 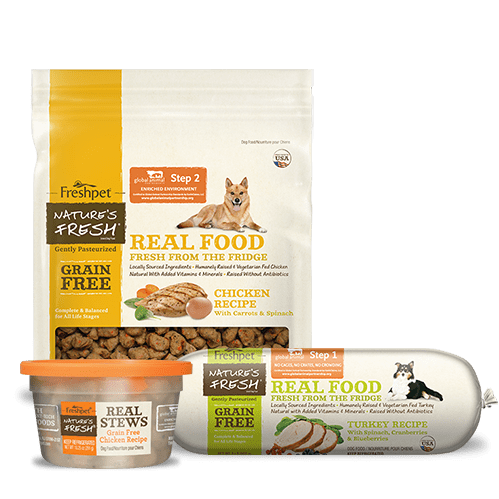 I saw that Freshpet made a cat food and decided to give it a try. 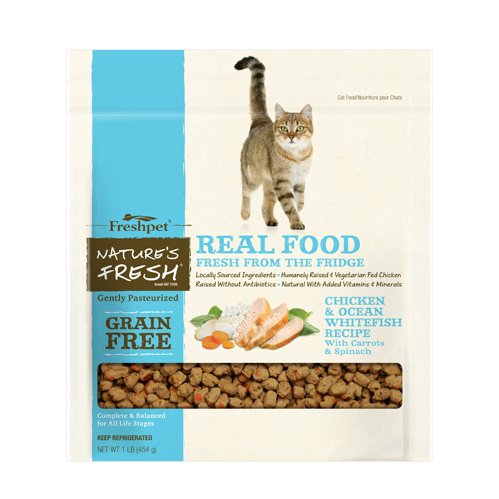 He’s also been eating Freshpet for a month now and really seems to like it. 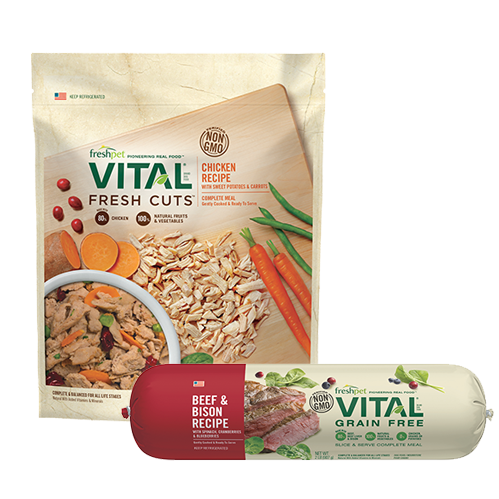 I know it’s good for him, he’s getting the protein and moisture he needs and I don’t have to deal with icky cat food cans anymore. 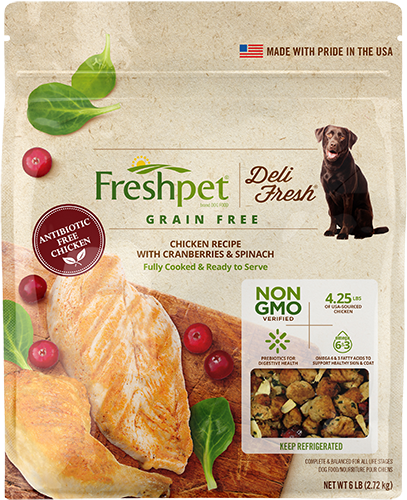 We’re absolutely sold on Freshpet; it’s quality food without by-products, it’s good for them and they eat it. WIN-WIN-WIN.